GREAT CONCEPTION & SAFER DRIVING -- The car mount is in an excellent position on the car dashboard panel which display just in FRONT of you. It's not the ones where you hook it into you car vent so you have to glance at the side. You can control the music or GPS more securely without looking away from the roads. Keeps your head up and focus on the driving totally! * UNIVERSAL PHONE CLIP -- Flexible phone clip maximumly with openings which can fit smartphone or GPS from 3.0" to 7". Suitable for most mobile phones including iPhone XS MAX, XR, X/XS, 8/8 Plus/7/7 Plus/6S/6/5S/5C, Samsung Galaxy S10/S10 Plus/S10E/Note 9/8, HTC, Nokia, LG, Huawei and much more. 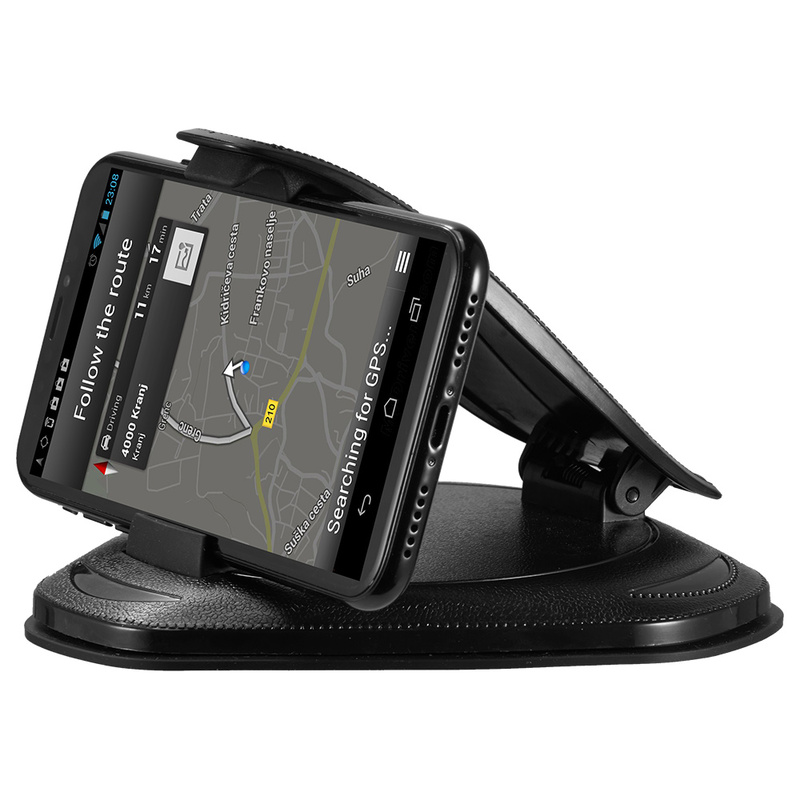 * STURDY MATERIAL -- This creative phone holder can hold the high temperature environment of the automobile instrument table. No more part assembly, just fix it to your dashboard properly. * ANTI-SLIP SILICONE PAD -- Perfectly fits with the dashboard panel through the anti-slip silicone pad,which make it holding the phone stablely. Also can be used at office and home desk.